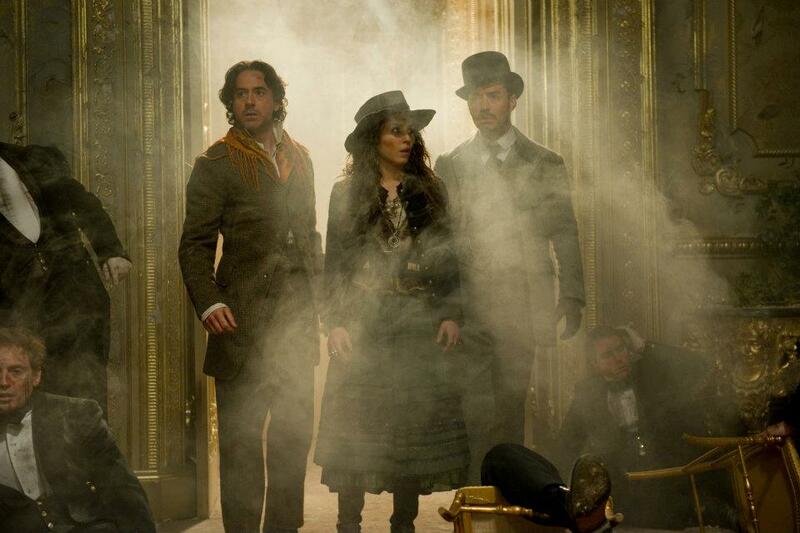 This a movie review of SHERLOCK HOLMES: A GAME OF SHADOWS. Author Arthur Conan Doyle’s seminal character has gone through a ridiculous number of face-lifts over the years. (My favourite interpretation is YOUNG SHERLOCK HOLMES.) Purists may have balked at the director Guy Ritchie actor Robert Downey Jr. take from two years ago, but my problem with it was not down to jazzing it up (see a perfect example of that with J.J. Abrams’ STAR TREK); it was due to the mystery and clues being underwhelming, and Ritchie deciding to edit the action so fast in places that it can barely be followed. Unlike the step up from BATMAN BEGINS to THE DARK KNIGHT, there is no improvement in direction, story, or portraying melees. Things are just done on a larger scale. 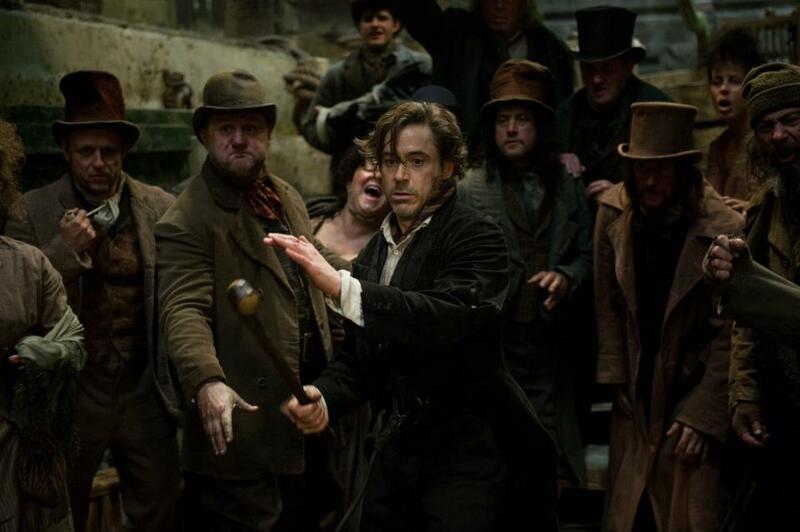 What stops this descending into ignominy is the chemistry between Holmes and Watson (Jude Law). The banter is arch and their friendship palpable. 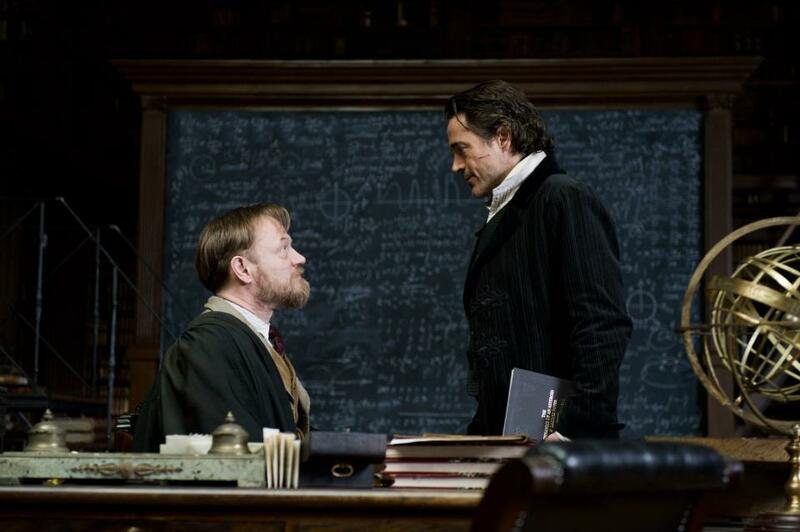 There are also two gripping set pieces, where things are done in slow motion: an escape from a factory (mixing in some enjoyable frenetic camera-work), and the climactic showdown between the lead and his arch-nemesis Professor James Moriarty (Jared Harris). And the other plus, there actually is the feeling that lives are at stake. This all earns an extra star for entertainment value, which otherwise would not be here. However, the seed of conspiracy the master sleuth unearths is not spun into anything interesting. We just seem to be barraged with names, incidents and coincidences. There should be emotion: anger, grief, deep affection, conveyed by the protagonists as certain occurrences play out, instead the film rushes past any kind of dwelling for what appears to be fear of losing the viewer; which places the movie in the director Michael Bay territory of not respecting his audience. The original “girl with the dragon tattoo” Noomi Rapace is wasted, as is Stephen Fry’s Mycroft – expository dialogue is not satisfying even out of the QI master of ceremonies’ mouth. Half-baked again, with an interminable washed out cinematography that paints in greys, and is even more bland looking than Ridley Scott’s ROBIN HOOD. The sheer pace prevents A GAME OF SHADOWS from being dull, though it doesn’t curtail frustration at poor storytelling.